The engine is installed with the Ecoboost system which is expected to give a boost to mileage by at least 30 percent when compared with the present V6 that is fitted on the 2010 Explorer. The company has not revealed the exact specification of the new engine so there is the old engine whose specification we have for comparison. The existing Explorer engine is a 4.0 liter V6 that produces 210 HP. Fuel efficiency of this engine is rated at 14 mpg in city driving conditions and 20 mpg on highways. On combined spectrum it would stand at 16 mpg. It can therefore be assumed that fuel efficiency of the Ecoboost powered engine on the new 2011 would be better than these specifications. The next generation of the Explorer would also have the V6 engines is the news. 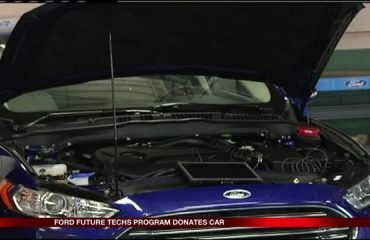 The company has also released a video where Carl Edwards NASCAR Sprint Cup and Nationwide Series driver is seen checking out the new 2011 Explorer.